They make their own way. Often this means they figure things out as they go along. But there are other ways of joining the artisanal economy. We’re interested in those focused, committed, and passionate about using their culinary talents to own a successful small business. We’re interested in culinary millennials (ages 18-30 and in culinary school), culinary veterans (chefs who work for someone else), and enthusiasts (those with disposable income who are interested in food). We already have some people lined up, including caterer Lisa Long, bakery the French Barn, and specialty good company the Snackery. J’s Kitchen incubator also looks something like a Business School. It’s a business development program with a three-year curriculum covering the basics of business. I want to start that off with a life coach to get participants in the right frame of mind before we get them in the kitchen. There will be workshops with CPAs, attorneys, marketing specialists, and business coaches. Classes are once a month during the week. The idea of an Artisanal Incubator is not widely practiced, as far as we know. We would love to hear of other experiments in the area. It feels like the artisanal economies would be well served by an artisanal incubator. In fact, this might the time for someone to start building an incubator for artisanal incubators. Cooper, Carly. 2016. 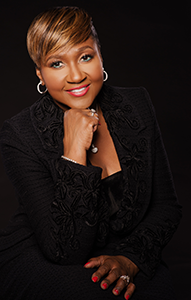 “Usher’s Mom to Open J’s Kitchen Culinary Incubator in the Spring.” Atlanta Magazine (blog). February 8, 2016. http://www.atlantamagazine.com/dining-news/ushers-mom-open-js-kitchen-culinary-incubator-spring/. The J’s Kitchen website here. Regina Northouse for the letting us know about J’s Kitchen. Ms. Northouse is the Executive Director of the Food Recovery Network. Next Is there an artisanal answer for unemployed youth?